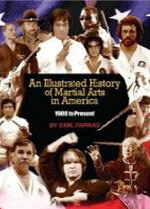 This fantastic book written by Emil Farkas, co-author of the incredible Encyclopedia of Martial Arts, is a one of a kind. An Illustrated History of Martial Arts in America covers the period from 1900 to present and has hundreds of amazingly rare and historically significant photos in it from President Teddy Roosevelt who trained in Judo in the dojo at the White House to the grappling craze of today. Nostalgic photos of Norris, Snipes, Bruce Lee, Robert Trias, Peter Urban and many more are included plus a selection of some of the books that changed the martial arts here in America. Authors like Draeger, Tegner, Demura, and many more have their books highlighted. Films and rare movie posters like that of Game Of Death, American Ninja, Karate Kid, Enter The Dragon and many more are included. Farkas has meticulously written a description for each photo explaining exactly what and where it was shot and who is in it. The book is divided into chapters designated by the decade so you can see the actual progression over the Century. 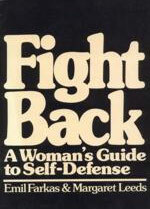 Emil Farkas legendary Sensei to the stars, has written this all encompassing text in self defense for women. 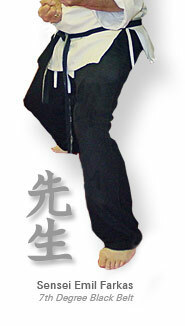 Included are the use of weapons, use of arms, elbows, blocks, kicks, chokes and much more. 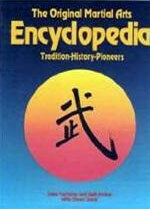 Author of 'The Encylopedia of Martial Arts' Farkas is world renowned for his literary skills and in this book can be appreciated for his technical excellence. Training and Fighting Skills is one of the few great books on sparring training and technique. 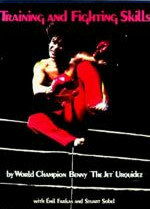 Urquidez provides numerous training tips along with pages of step-by-step photo diagrams of winning combinations. This book assumes that you already know how to perform basic techniques like a side kick or a roundhouse kick. 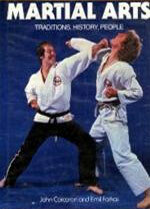 If you have had basic training experience in TKD, karate, etc., you will learn from this book. Martial Arts: Tradition, History, People is a massive reference containing over 1,000 individual bios of famous pioneers and champions; over 1,000 photos, many of rare vintage; detailed histories of martial arts development in all major countries including the most complete overview ever of U.S. martial arts history; and hundreds of entries detailing arts and styles. Plus, a huge Bibliography featuring 1,183 English-language martial arts books published from 1898-1980, organized by 26 categories. This book took 10 years from concept to completion in the pre-computer era, and it shows. It has won industry-wide international acclaim for its global thoroughness and universal appeal to everyone from beginners to veteran black belts. 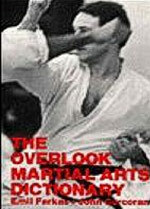 The Overlook Martial Arts Dictionary is the first, most comprehensive dictionary of the Martial Arts language, for practitioners and students and all who are interested in the martial arts. 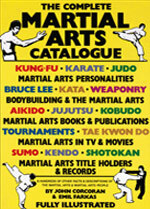 The Complete Martial Arts Catalogue is a reference book that compiles everything you want to know about the martial arts in an easy-to-read question and answer format from karate, judo and tae kwon do to the more exotic arts, such as aikido, kung-fu, capoeira, etc. Divided into various chapters, the book covers history, philosophy, personalities, sport, weaponry, books and magazines, and even delves into martial arts in television and movies. The Complete Martial Arts Catalogue is a comprehensive question-and-answer book for every practitioner and fan of the martial arts.